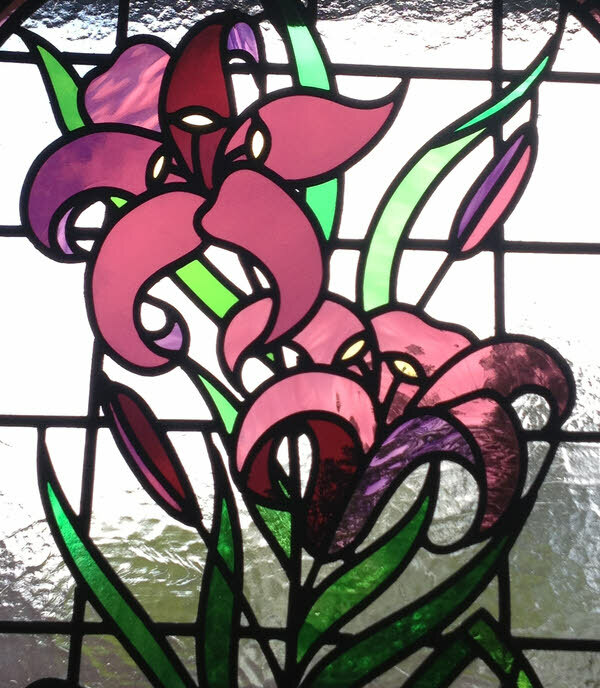 Lily Leaded Light Panel, Hindhead, Surrey. 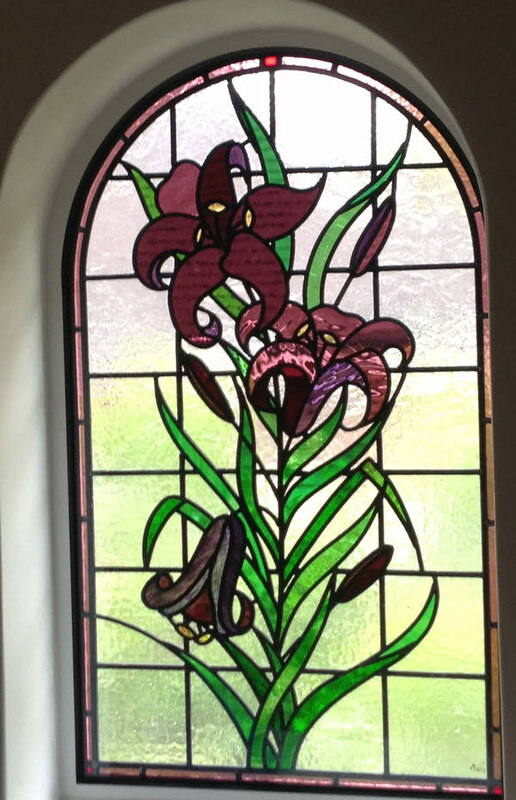 My customer provided me with the idea for a window with lillies for their bedroom. I have cut this panel in a rich mixture of mouth blown and machine made glass. This window provides privacy without cutting down on too much light. 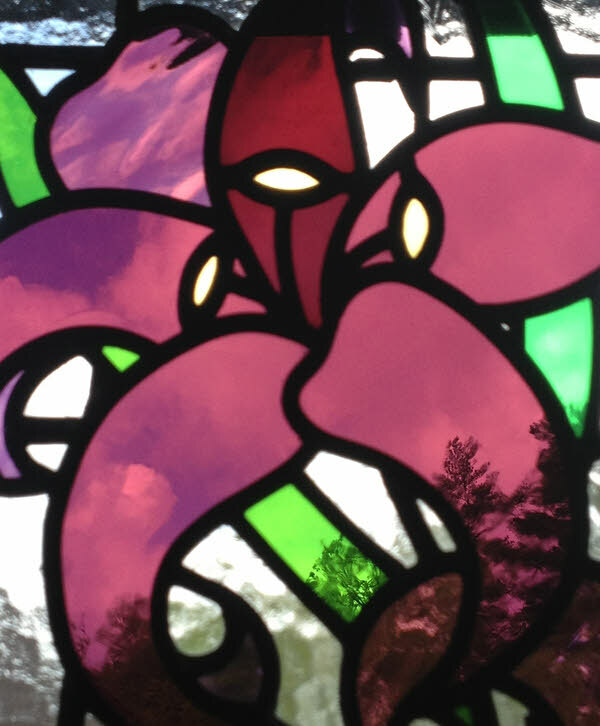 It gets evening sun so that purple glass really glows. It has been encapsulated into a sealed unit. These sealed units cannot be guaranteed but of course the stained glass inside will out last us!